Primodent Studio believes it extremely important to give back to the community and help those who have not been as privileged to receive the same care as those they have. Thus, we see it being imperitive we donate our time and resources to dental charity works and help give new smiles to those in need. We partner with many nonprofit organizations and charities across California who specialize in dental clinical and laboratory work. 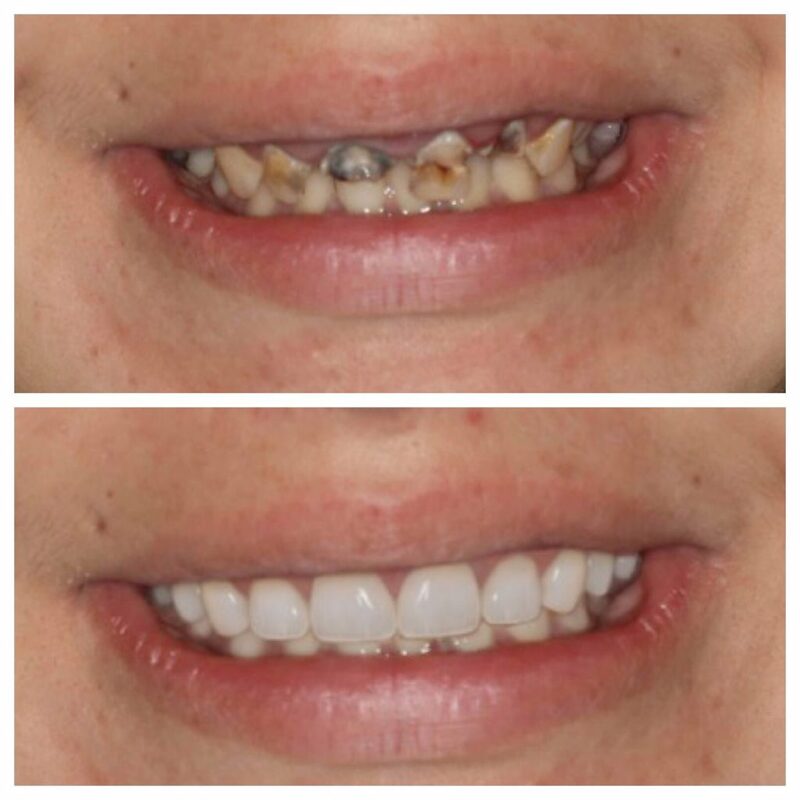 Here is a before & after of upper and lower rehab work we accomplished with Dr. Asselin from the Fresno area. 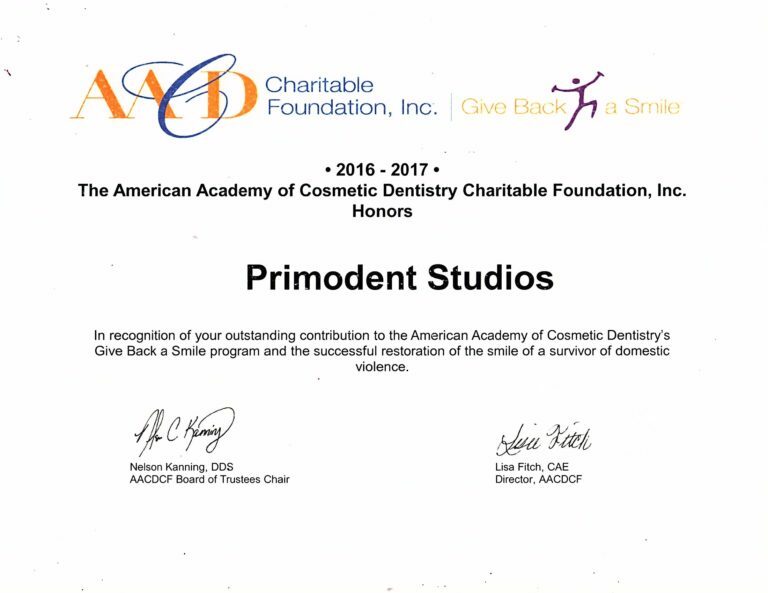 This was a charity case done in association with The American Academy of Cosmetic Dentistry Charitable Foundation’s “Give Back a Smile” program. © 2019 - Primodent Studios. All rights reserved.